Getting Holiday season 2016 ready. Okay, we are getting closer and closer to end of the year parties. And it's high time to start thinking about your festive-much make-up. As we all know, winter, Christmas and New Year are all about statement shine. According to some runway beauty looks, especially those spotted at Giambattista Valli, Burberry, Emanuel Ungaro and No. 21 seasonal shows, there's one make-up trick that suits our Holiday season needs. Shall we call it all glitter everything? As it's literally about applying glitter in preferred doses - from small to really big (shine bright like a diamond) ones. 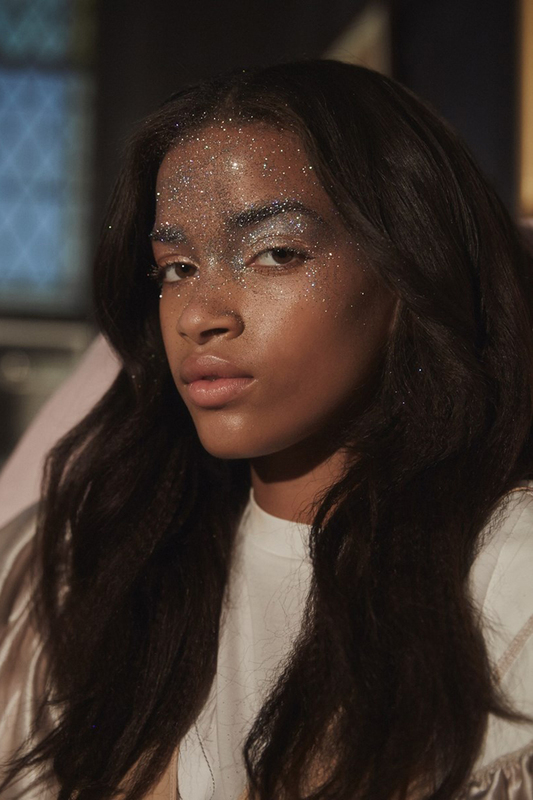 With the help of glitter you can accentuate eyes, eyebrows, cheekbones or even cover the major part of own face. It's all about creativity and your will to stand out, and maybe dress code in some cases.